Snowflakes abound in this winter wonderland inspired hair accessory. 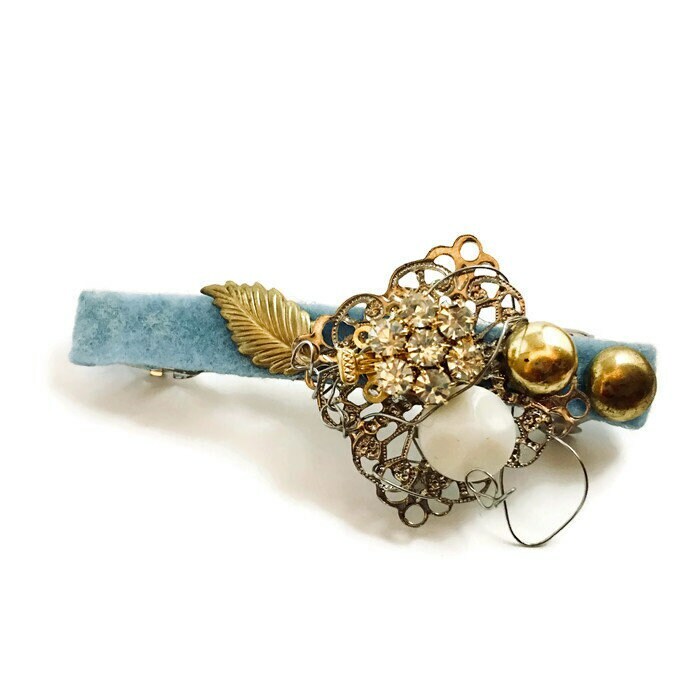 Found objects including vintage filigree and silver gold findings on a snow blue felted barrette. A perfect statement piece!